We’ve made the list, now you can check it twice! Make sure that all of your bases are covered, and you’ll give your organization one heck of a time—with very little stress on your part. If you like searching Pinterest, we’ve got even more ideas on our Company Holiday Party Planning Checklist board. Decide on the type of party you’ll be throwing. Will it be company-wide? Extravagant? Casual? Employees, plus-ones and spouses only? Are clients invited, too? Create a budget. This might already be established by the bosses. Make a guest list. This will be based on the first item in the checklist. Set a date. If you’re just getting to this, those red hot party dates are probably tough to solidify with caterers and venues. 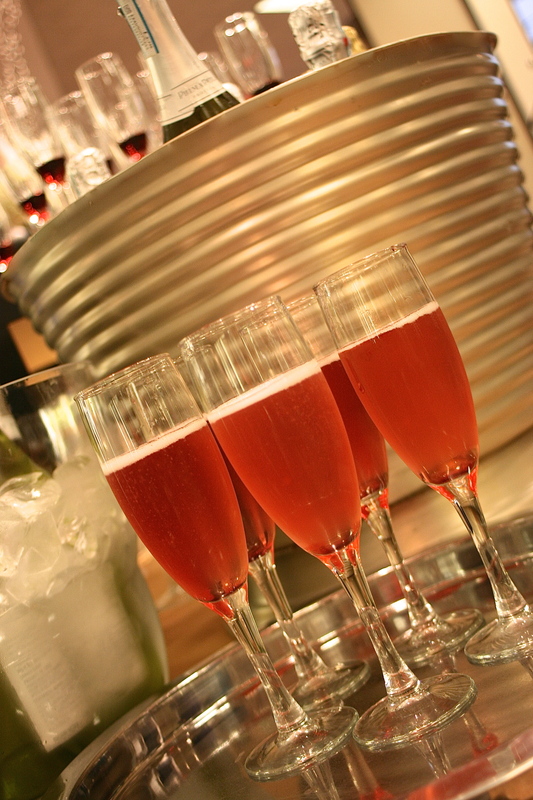 Work with your venue and/or caterer to choose an available date and timeframe. If the desirable Fridays and Saturdays are already spoken for, try hosting your company’s holiday party on a Thursday evening instead. Select a venue. This should be done in accordance with the previous step, since available dates will be hard to come by. That is, of course, unless you’re hosting at the boss’ house or at your office. Select a caterer. Again, this should be done ASAP to ensure that the best available caterers have ample ingredients and the appropriate staff to make sure your holiday party is a success. Choose hosts and/or speakers. Look within your company first. If no one comes to mind, consider asking a recently retired individual to whom everyone looked up or really enjoyed having around the office/building. Pick a theme. Now this is the fun, creative part. Come up with a theme, such as White Christmas, Winter Wonderland, Candy Land or Gothic Holiday. This theme will provide the foundation for the rest of the creative planning process. Plan your entertainment. What goes with your holiday theme? If you’re considering a live band or DJ, you might be a little late to capture the top entertainers. Try asking around the company to see if anyone is in a band outside of work, or has a friend, son, cousin, etc. who would be willing to entertain. Also consider asking local children’s choirs or community groups to perform. If you don’t want a big entertainment act, plan several smaller interactive activities, which just happens to be one of our hot company party trends right now. Decide on the dress code. Formal, casual or somewhere in between? Make this decision based on the theme, venue and budget, and relay this information to guests via the next step of the planning process. Formal attire is one way to dress up your evening, but make sure your decor and theme matches the level of sophistication if you’re asking guests to get all dolled up! Casual attire is great for holiday parties with tons of activities and games and for events with lower budgets. Create and send out your invitations. The invitations should reflect the holiday party’s theme as well as the dress code. To remove doubt from guests’ minds, be sure to let them know that if it’s a formal event, you’re expecting bowties and gowns and vice versa. Plan a holiday menu. Work with your caterer to create the best possible menu fitting both your theme and your budget. Some caterers already have holiday menu themes, which are helpful for those planning well in advance or at the last minute. Plan the bar. Will you offer premium, top-shelf bar service? Will you need more than one bar? Will you have a specialty cocktail based on your theme? Your caterer can help you answer all of these questions and many more. Or, head to our dr!nk page for some help right now. Schedule a site visit. You’ll want to do this with your venue coordinator and invite your vendors and caterer along. This will give everyone involved the opportunity to judge what the best event design and set up will be, as well as help your vendors pre-plan for all deliveries, including dock space, number of stairs and back room or kitchen space. Decide on awards and recognitions. Many successful holiday parties incorporate a yearly review or recap, which usually involves recognizing individuals, teams or the entire company for a job well done. Use this annual opportunity to recognize the key contributors to the company’s success handing out any plaques, trophies or awards your higher-ups deem appropriate. Create an itinerary. Writing out a detailed itinerary, being sure to go over it in detail with your caterer and vendors so that each scheduled delivery is double- and triple-confirmed, will help make the event run much smoother. Plan décor, tablescapes and lighting. 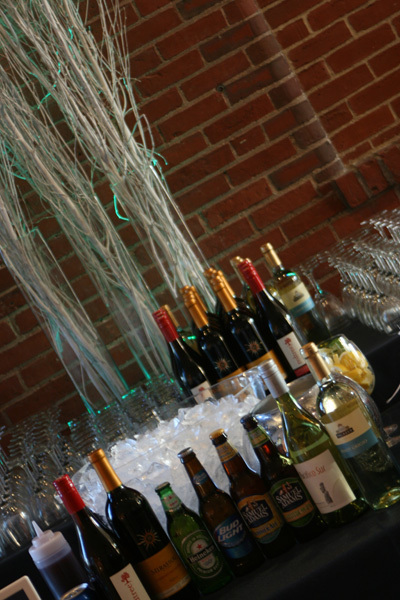 Some caterers and venues have the ability to take care of all three. Talk with your vendors about planning this portion of the event as they are experts and should be able to complement your event visions perfectly. Plan your prizes and favors. Especially if you’ve opted to utilize one of this year’s holiday party trends and have schedule a series of smaller, more interactive entertainment activities, plan on giving guests small tokens by which to remember the evening when they participate in any of the activities. Leave them with party favors, too, when the evening concludes. Raffle off gifts that give back. Incorporating some kind of charity into your party itinerary is a classy, respected and increasingly appreciated move. This aspect could be as simple as asking guests to bring something to donate, or as elaborate as giving away gifts purchased from companies that give back through a company raffle. Hire a photographer. Documenting your holiday party is a great social media sharing opportunity as well as perfect for email marketing material. Photographs should go up on your company’s website and circulate around the office to help keep spirits up long after the holidays are over. Host the party! It’s game time. You’ve planned and planned, and now it’s time to experience! Enjoy all of your hard work. Create a follow-up. Feel free to use the photos from the photographer for this part of the post-party process. Your follow-up can be in a newsletter you send to clients, in an email to employees, on social media for everyone to see, or otherwise, of course. Use the party’s success to your advantage by creating a final opportunity to deliver some kind of positive message to company employees and/or clients. 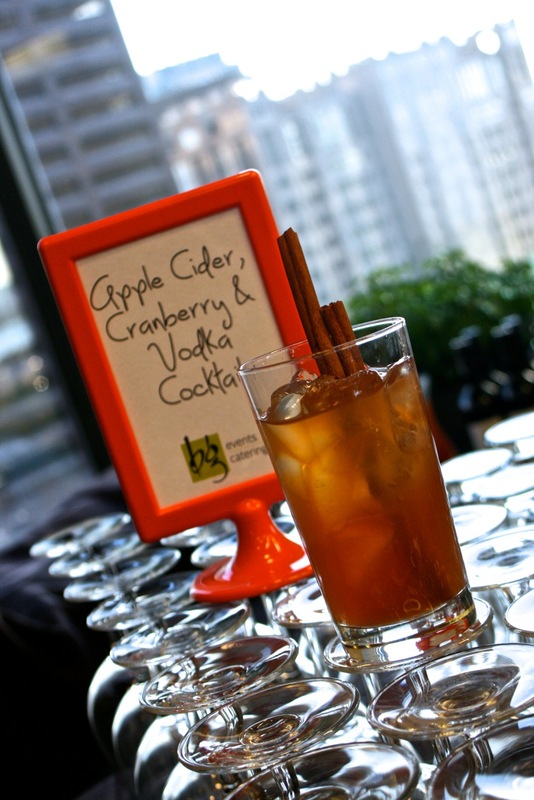 For more on corporate holiday parties, check out these 7 Corporate Holiday Party Trends happening right now. They’re sure to spark some creative ideas for you and your event. What’s a winter-themed party without a warm winter cocktail? Six of the seasons finest warm drink recipes can be found right here! You can also take inspiration from old events, holiday or otherwise. We’re happy to share a few corporate events with you to help spark your imagination, such as thisawards and recognition dinner and this 900-person holiday event!